*Click on maps to expand. 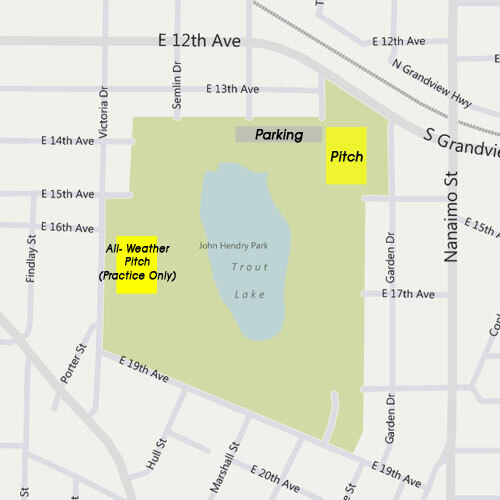 Main/Practice Pitch – John Hendry Park (Google Map)Our home field and main practice venue. 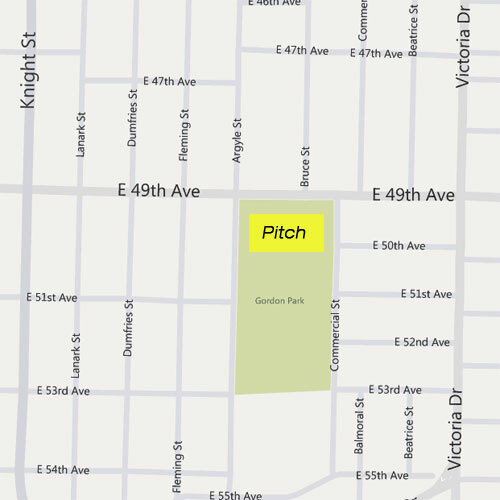 Please see emails or main website for game-day field. 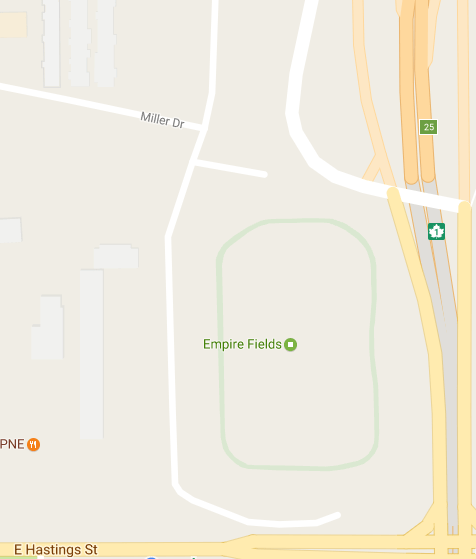 Home games January to March- Rupert Park (Google Map)Located at the corner of First and Rupert. Please see emails or main website for game-day field. 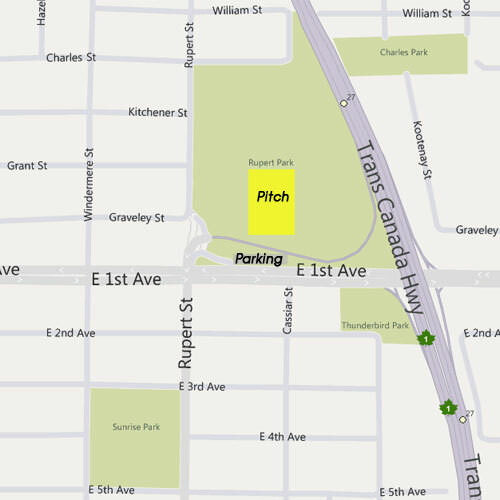 Located adjacent to East Hastings / Highway 1 and the PNE Grounds. 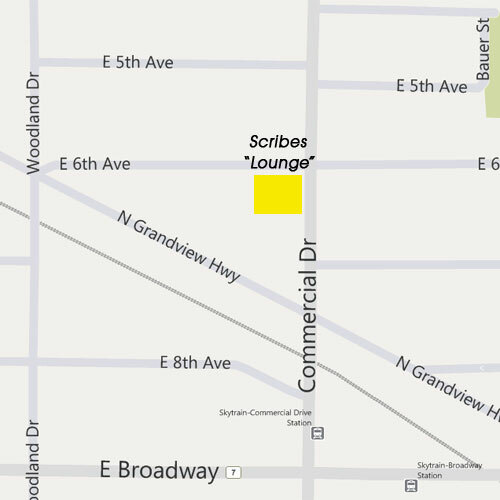 Scribes Clubhouse “Lounge” (Google Map) Our temporary home until a new clubhouse is found. Above the Grandview Legion, entrance on 6th Ave (Right Side Corner Door). This is our standard meeting point before away games.